Photos of newborns are precious, once-in-a-lifetime moments. 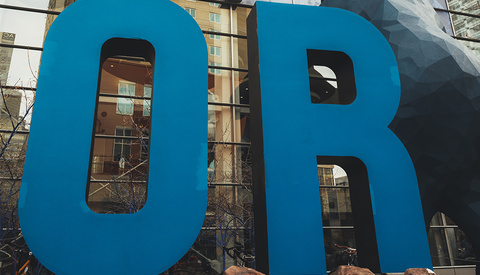 Now, some new parents in Denver are wondering where their images are. 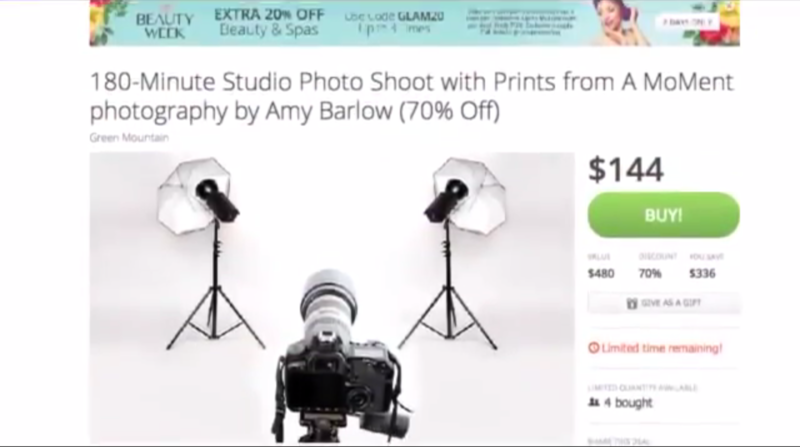 Photographer Amy Barlow under the name A MoMent Photography studio based in Lakewood, Colo. recently ran a Groupon promotion for newborn photography and is being accused of taking the money and running, leaving several families complaining that their images have not been delivered. A report by Fox News affiliate Fox 31 Denver spoke with a new mother who hired Barlow to photograph her son. An three-week wait has quickly doubled with no word from Barlow and no images to show for it. According to the report, the number listed for A MoMent Photography is off but still accepting voicemail and has an unresponsive email and Facebook account. A quick look at the reviews on Barlow's Facebook show at least four clients alleging she hasn't delivered the images she was paid to make as seen below. 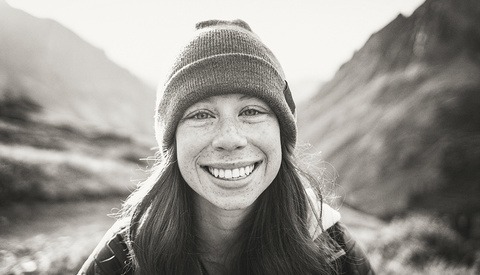 At the time of publishing Barlow has not responded to Fstoppers' request to comment. We hope the attention generated by the story will motivate her to deliver the images she was paid to make. this can't be good for biz. The photographer isn't really in business if he/she is on Groupon. 144$, Groupon takes 50% so that leaves the photographer with 72$. Let's put 1/2 of that aside to cover the photographers CODB (I know it won;t but lets say 36$). Now he/she is offering prints with that ... I don't know what the print details are but let's say an 8X10 and 2 4X6's for arguments sake ... let's say 6$ in cost for the photographer. 36$ - 6$ = 30$. The shoot is 3 hours (180 minutes). Then there is at least another 1.5 hours culling, post processing, ordering and shipping the images add in another 30 minutes communicating with the client took book the meeting and we have 5 hours total. 30$ / 5 hours = 6$ / hour. The photographer would make more momney, more consistently, for less work ... WASHING DISHES. At 36$ towards CODB to pay for very basic business costs (around 16,000$ a year lets say) the photographer would have to do 445 shoots. At 5 hours each that's 2225 hours of work or 59 full work weeks (37.5 hours a week). Of course that is impossible (52 weeks a year) and leaves no time to do any other business work. So, yeah ... Groupon is a bad idea for photographers. I just checked Groupon here in Germany and the rate is from € 9.95 - € 29.95(!) for up to 90 minute shoots. Albeit most with only 1 or 2 photos included.... but with stylist and everything needed to deliver a good shot, which we all know is time-intensive more than anything else. A few years ago a large studio franchiser sold Groupons and didn't put limits on the number of Groupons for each location. In the larger cities they were inundated... some with up to 500+ Groupons... and it almost bankrupted a few franchisees. I truly despise Groupon and in the US/UK I've read more than a few bad stories that cause me still to wonder: how is it that they haven't been shut down yet? YOUCH ... no limits! That can DESTROY a business. The above is a 3 hour session for $144, meaning the photographer is making $72 after Groupon's cut. Then she has to pay taxes on that. Let's say 20%. So now down to $58. Then maybe two hours of editing etc afterweards. So 3 hour session + 2 hours editing/delivery etc + 1 hour round trip and maybe 30 minutes of scheduling related stuff. That is 6.5 hours for $58. No wonder. I am sorry but if you are buying your newborn pictures (which are very important IMHO) with files included for that cheap, you deserve what you get and should not complain. Part of hiring anyone involves professional service. You can't expect that when you get rock bottom prices from a discount site and then complain that you paid very little and then the person didn't do a good job. If your decision making process is all about the lowest price, then you will end up with consequences of hiring vendors who do not even know how to price things like above and end up working for less than minimum wage. Hire reputable vendors otherwise do not complain. So the photographer should take no responsibility for knowingly setting up this deal where she will make that little $? If the parents paid that much for non-Groupon deal would it be ok? I would only blame myself if I knowingly buy a deal that sounds too good to be true. Would you order online a Canon 5D Mark III from a non-reputable dealer for $100 and then complain that they didn't deliver it? This sort of argument strikes me like blaming someone for leaving something out in their car and having it broken into — the person breaking in did something wrong. In this case Amy allegedly stole money from clients by not delivering images. End of story. How are those even comparable situations? "Photos of newborns are precious, once-in-a-lifetime moments" is what you wrote, and then you advocate people hiring someone for less than minimum wage (in many places) and expect good results. Go figure. No this is like somebody leaving a 10K camera on the street overnight and surprised that it is stolen and upset at the thieves. Sorry - one should make better decisions and hire reputable people at living wages, otherwise you are just asking for trouble and have no one to blame for going ultra cheap. Would those people also be feeding the cheapest baby food, cheapest baby stroller or ... ? And if they did and something happened to their baby, would it be really the fault of the manufacturer? You're missing the point. They paid for a service, it doesn't matter how much they paid or where they found it, it's still unprofessional and illegal to take money and not deliver. I'm not sure what your point (or problem) is. Victim blaming is never a good thing. Victim blaming is a never good thing, but not victim blaming is enabling poor judgement or/and proper research of the services/products, etc. you purchase as well correct? I agree businesses should be responsible in providing the best and fair service too, but I personally am extremely careful where I spend my money and try never to impulse buy without properly researching the services and product I intend to buy. How is it the customers' fault for 1) someone who didn't deliver the pictures they were promised, 2)Choosing a piss poor business model, and 3)breaking the law. If there's one thing I learned, messing with other people's money is a recipe for disaster. Money doesn't buy friends, but it can burn bridges big time. Nobody is complaining about the photo quality, they DIDN'T RECEIVE THE PRODUCT THEY PAID FOR. That's the definition of FRAUD regardless of the price paid ( after all, Amy set the price, not the customers ). 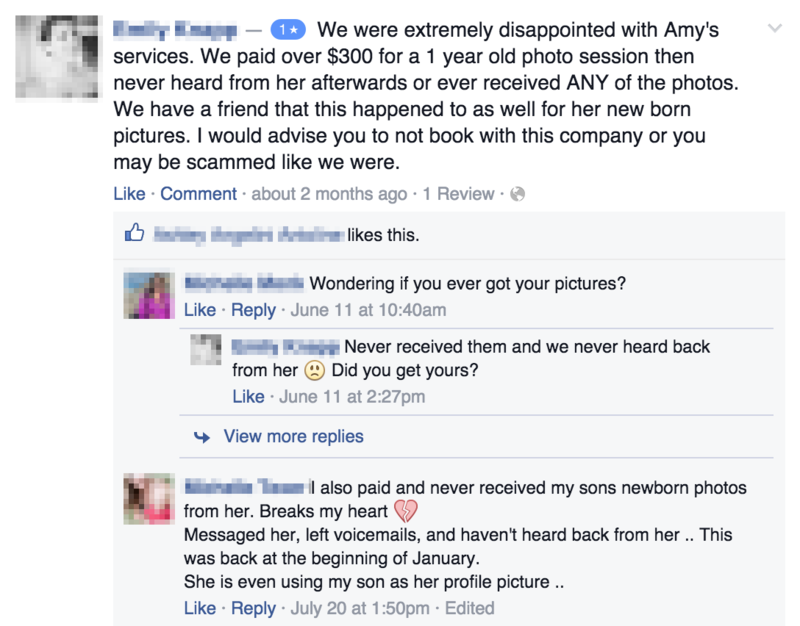 2nd some people simply DO NOT MAKE ENOUGH MONEY TO BE ABLE TO ALLOCATE $300 TO HAVE PHOTOS OF THEIR CHILD TAKEN. YES, it is possible, and it is called PRIORITIZATION. 3rd setting a cheap price ( the photographer did ) doesn't give you the right to get the money and not do your work. I'm 100% with Austin on this. On a side note, about not being able to afford quality photos ... I know of some poverty groups in my market that twice a year solicit photographers to come do a one day volunteer session for poor families. They normally get 3 or 4 photographers to setup small photo stations and do portraits for local poor families at a price that basically covers the cost of a couple of small prints at a cheap printing place. The shots are usually very limited but still. Just something for people to look at if they can't afford to hire a photographer. Honestly, I agree that it does fall into the photographer's responsibility to not get into Groupon situations in the first place, so yes the photographer was in the wrong...as a consumer, I understand that you have to be frugal, BUT you must be smart about your choices on who you decide to hire, and THAT falls into the customer's hands. Don't hire based solely on price people...this is a lesson ...make comparisons, shop smart, and get some word of mouth from others who have worked with the vendor previously. "You get what you pay for" is still a very strong statement. Otherwise it was a douche move on the photographer, and could potential give the rest of us professionals a stigma among uneducated clients. Stealing a candy bar is still stealing, right? Just because the store is only out $1, doesn't make it ok? Hows that for allegory of the cave? Each party is to blame really. The photographer is a terrible business person (if, one at all), and these customers, expecting a 2+ hour photo session with someone handling their newborn baby - their most prized possession - through a deal they found on Groupon are realizing you do indeed get what you pay for. I'm pretty certain they'll get their pictures in due time... Once this phony photographer realizes what a terrible mistake she has done. I think she'd make more flipping burgers at her local McDonald's. You are blaming the victims based on your flawed logic? They are paying $144, and getting nothing. Hmm. Good point. I'm going to offer stand-up comedy with my portrait sittings. Added value. I partially agree with you but also disagree. 1- In your calculations you forgot to account for CODB and hard costs so the amount is even less. 2- Clients have 100% the right to complain and to take this fauxtographer to court. what this fauxtographer is doing is called FRAUD. He/she offered a service for money, received payment and didn't deliver. Yes, the clients are stupid for having taken that deal but at the same time, we can't expect them to know the real value of photographic services and idiots like this fauxtographer only help to confuse clients. They see a proper photographer offering a session at 300$ or 400$ and this idiot doing it at 170$ they think "If he is offering it at that price, he must still be making a profit so the other are gouging us". I feel bad for those who were scammed, but weird soooo many people are claiming the scam, this all must have been happening in small span of time and now its blowing up. But I would recommend everyone research before shelling out cash for services. Never impulse buy services unless you're willing to gamble the cash. A simple google search should now prevent any more new clients towards her. But who knows, there is a small chance maybe something happened to have prevented her from taking any actions. It's some extreme reasons but they still exist. I won't say them but I'm sure people are thinking at least a handful of reasons why this is happening other than just blatant scam. ok...so what is the breakpoint then? how much is the correct amount to pay and expect to receive the product you paid for. would $150 have been legitimate? or is the reputable price $200, $500, $700? does your arrogant standard preclude Peter Hurley from offering a $150, 3 hour session on groupon? Maybe he's feeling generous and wants to offer a one day sale. is he now a hack? the fact is, people paid for the session and product and should receive what they were promised. just because you purchase a cheaper product does not mean you deserve to be ripped off. don't blame the customer. this photographer offered her services, took the money and now should delivery on the deal. If she doesn't, it's all her fault. for all we know, this lady could have been in an accident or had a stroke or who know's what. I've done business before with someone who was in just such a situation. they got behind on the work and eventually got caught up. in the meantime, we should not blame the customer. I ordered something custom for my home. Guy had a great rep, super busy. Cash payment got me to the front of an 11 week wait. Then he disappeared. No calls, no return texts. Voice mail full. Stomach churning wait. Turns out his dad was in the hospital. To make up for the lost time, he pretty much worked around the clock to deliver on time. Moral of the story? This guy had a rep worth protecting, just a horrible communicator. Price and quality are not mathematically related. I'm in a new market, (in a different country) and I'm trying to build a portfolio with people from this country, and agreed to do a wedding including whatever video I could shoot (including video editing). For a little bit more the what is discussed here. I also had periods where getting fast food was a luxury. Don't blame the parents for trying to get a good deal. A 3 hour long photoshoot? With a baby? Way too long in my opinion! No ... price and quality are not intrinsically related but it is safe to assume that a photographer who doesn't understand the basic economic principles of return on investment and simple concepts such as cost of doing business probably should be viewed with some suspicion. "I'm trying to build a portfolio with people from this country, and agreed to do a wedding including whatever video I could shoot (including video editing). For a little bit more the what is discussed here." And that's fine. You were upfront (I assume) about WHY they were getting a good deal ... you understand that economically you can't do a ton of these and keep your business afloat (right?). Unfortunately I can't see how many of these Groupons she is offering but she already sold 4 of them and then there is the fact that she is offering 50$ voucher for 25$ on Yelp. Once you factor in Groupons cut (50% of remained) ... she is offering her services at an 85% discount. Who the heck has an 85% markup? Yes, I agree with you. Not the costumers fault. Very poor business model, not one I want to follow.